Please attach a high quality picture of you as well please! Before you start reading, no I didn’t hack into their bank accounts and take money……………250 random people helped pay my way to London by donating to MY Cause. Absolute complete strangers paid my way across the pond. Strange right? They read my story online and on their phones and even on social media and they decided it was good enough for them and they gave me money. $25 here, $5 there, a whopping $250 bucks every so often, and this happen for 5 months. I took over $4,000 from 250 strangers online. I find it weird to think of myself as a cause. Like I’m the revolution, the movement. When in reality I just want to travel and go to clubs all over Europe. Sorry for the honesty, but it’s true, and that’s exactly what I did. I traveled the world, and definitely FULLY enjoyed myself in each location. But don’t forget somehow people think that I’m a movement, a cause, something to donate to. Crowdfunding is the newest form of media mobilization. Instead of a potluck dinner like back in the day, where you met who you were funding for, now you just read their stories online and call it good enough. Sending money for multiple causes, does that make you an activist? Say every year you donate $30,000 in crowdfunding, can you call yourself an activist, or charitable? Is it easier to pull out your phone and donate money than to send a check with a letter of appreciation, or to meet the person at a potluck dinner? We are in time where time literally is an issue, sometimes the quick form of activist and charitable titles can be attained by just clicking send on Bank of America or donate on GoFundMe. It pulls us further and further from the cause but yet we still call ourselves activists and charitable, but are we really? My time abroad was amazing and it truly changed me, but am I really a cause, or revolution, or something worthy to be donated to? Did I sugar coat the truth enough? Or too much? My digital footprint. It’s a strange concept right? Making a footprint, that’s traceable back to you all just by tapping keys. Your literally stamping the Internet with yourself, and you even get to brand the different posts. LinkedIn calls for professionalism. Facebook for trolling, bullying, and stalking. (Let’s be honest we all have Facebook stalked at some point or another, don’t try and by coy). Twitter for rants, news, and abuse. Then what’s left for Instagram, I mean we are at 10 horcruxes by now, but somehow we squeeze out our inner models and post only the hot stuff for the likes and comments, DM’s for private shows, and really when we come back to it all we did this. We posted the Insta, to get the 100+ likes and tweeted about an ex boo to get their attention, and then we trolled on a Facebook page just to get a rise out of someone. Not to sound so cynical but that is how it is, and its something we find ourselves doing without even knowing. I looked aback at my digital footprint from the beginning of opening MYSpace, does anyone even remember that?! It was rough to say the least. I was young and awkward, and really really awkward. Like to the extreme awk times 1 million. It was painful going through all of those old pictures and don’t get me started with what I was posting about. Then Facebook came around, not sure how many of you are old enough for frienster, but there was that weirdness too, I won’t even touch on that. Nonetheless, my digital footprint consists of humor, teenage angst, relationships, food, fashion, a thing called make a baby and 100 other personalities. What I never realized was how different ach personality was. Not even going to try and sugar coat it, I’m a “B” on Twitter, it think its because I see 140 characters as a challenge to incite anger, and rant with. The sharpest words cute deep, and twitter is my practice. I think that’s also why I keep it super private. But the Fans Wrote it! Fans Create. Then “They” Take. This weekend premiered the illustrious Fifty Shades of Grey, and the critically acclaimed author of the book took all the credit. What people are failing to recognize is that Twilight Fans wrote the book and she changed a few words and just stuck her name on the cover. Is this copyright infringement? Or can we truly call it her own work. She is someone who took what others wrote directly and published it as her own work. Her characters are stolen and her plot is developed by everyone but her. Last but not least Rick Ross, infamous rapper and producer. Did you know that Rick Ross actually took his personality from another dirty south rapper? He was an up and coming nobody rapper in his area, and when another rapper Rick Ross who was well known in his community was run out of town and killed, he stepped up as Rick “Ricky” Ross and stole his show. Everything that that other rapper had worked for he took and ran with to a new place. Does stealing a stage personality count under copyright infringement? He literally took an identity of a living breathing person and used it as his own. He even went as far as to change his won name legally to Rick Ross, this was all kept hush hush though because it would have killed his label if a large portion of his fan base found out. With all that said, where does anyone have the right to take what others create? 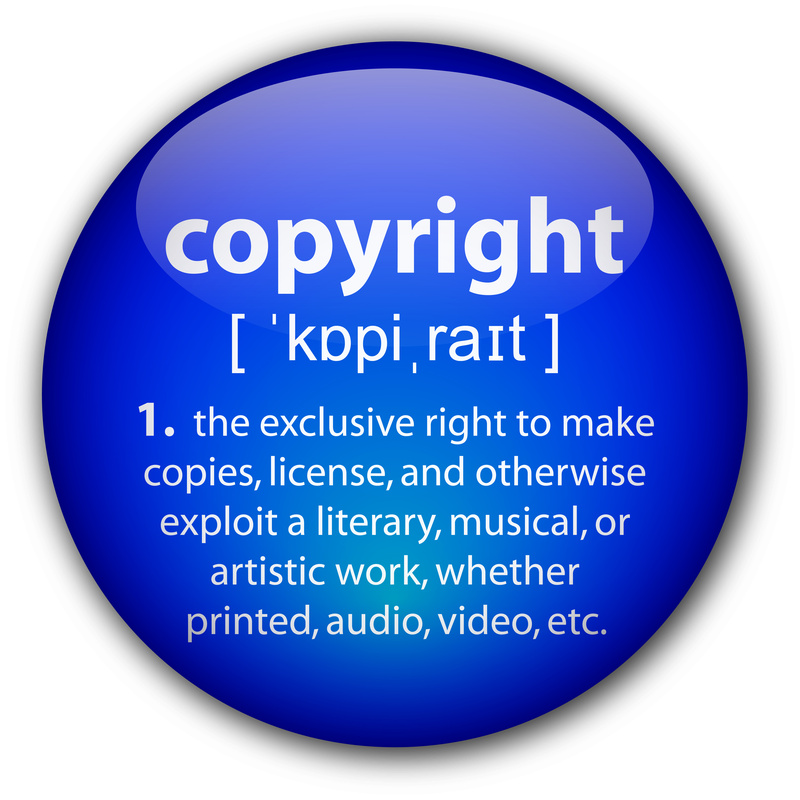 We look at the hundreds and thousands of copyright laws and see that they are directly violating these laws, so who is turning the blind eye when it comes to directly taking works from others? Is this ethical, and who is responsible for this? We can try and put more and more laws on work, but there always seems to be a loop hole somewhere or another. Or in most cases when money is exchanged there seems to be no recollection of anything wrong happening. Do wallets determine copyright? -Side Note: What’t wrong with this post?